WILLIAM SHERMAN BECK, son of Joshua Beck and Margaret Hixon Beck, was born in Hamilton County, June 6, 1866. His par­ents were among the earliest residents of the County and his grand­father, David Beck, a soldier of the Revolution, was also an early citizen. He is buried on the Beck farm. William Sherman Beck was educated in the public schools of Hamilton County and at East Tennessee Wesleyan Uni­versity. After his graduation he went into business with his brother, the late Henry Clay Beck, who had established the Title Guaranty and Trust Company in Chattanooga, of which William S. Beck is now President and manager. He became interested in civic and county duties and he served in 1906 on the High School Board of Hamilton County. This Board built the Central High School and the High Schools of Tyner, Soddy, Sale Creek and Hixon. He was instrumental in organizing the Hamilton County Board of Education which took over the grammar schools from the various school districts of the County. Under his administration forty-two schoolhouses were constructed in Hamilton County. The school terms were increased from five to nine months and most of the one-room schoolhouses were abolished. The Hamilton County School System was recognized at this time as one of the best in the South. He served the County Schools for sixteen years and was chairman of both boards. 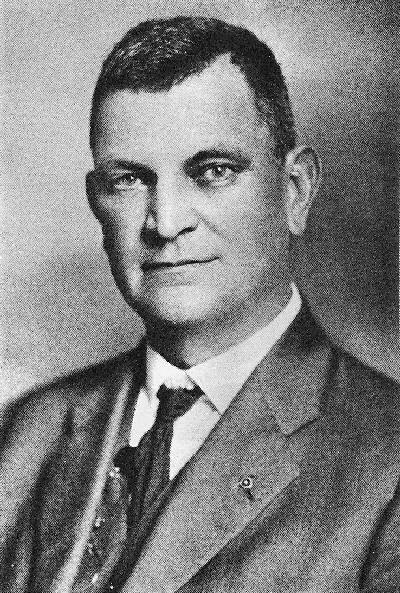 When the town of North Chattanooga was organized in 1914 he was elected a Commissioner; he also served as Treas­urer until 1923 when he was elected Mayor. In 1925 when Greater North Chattanooga was organized he was elected Mayor and under his administra­tion many improvements were made. He is a member of St. Marks Methodist Church, which he helped to organize and finance as well as to build. In 1887 he married Flora Tarwater, a descendant of pioneer families of Knox County, including the Tarwaters and the Rules. The late Co1. William A. Rule, the distinguished editor of the Knoxville Journal and Tribune for many years, was her kinsman. Mr. and Mrs. Beck have six children, William C.; Otis Henry; Frank Eugene; Edgar Sherman; Anna Lucille; and Flora Elizabeth. The History of Hamilton County and Chattanooga Tennessee, Volume 1. Zella Armstrong; Page 333.